Happy Friday everyone! Today is a good day because I am about to stock up on some delicious pound cake! 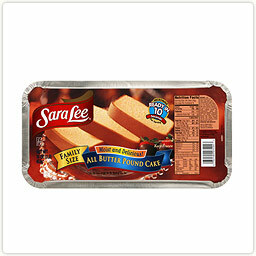 Growing up we always had strawberry shortcake with Sara Lee Pound Cake. It was kindof the best thing ever and it still is. I will be making it this weekend and I am so excited! Super easy and so delicious! Of course Sara Lee has archives full of delicious recipes to try. Do you have a favorite? Here are a couple of mine! 3. Top each slice with 2 tablespoons strawberries, second cake slice, and 2 tablespoons strawberries. 4. Serve with whipped topping and chocolate curls, if desired. This is a recipe I pulled from a magazine years ago and it is delicious! 3. 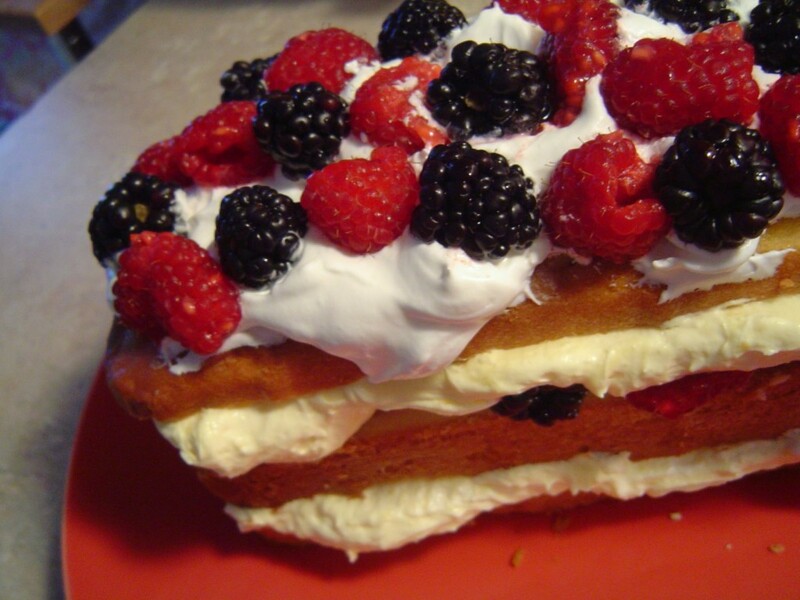 Layer the cake with the pudding mixture and berries! 4. Top it with plain cool whip and more berries and chill. I just use layers of pound cake, strawberries and cool whip in a clear trifle bowl. Ooooh, I want to make that pudding cake recipe! It will probably be my new favorite! How I started eating Sara Lee pound cake was “straight up”! While still in college my (now) husband and I would buy a pound cake and slice and eat it while it was still frozen. YUMMMM! I love a simple strawberry shortcake with fresh strawberries and real whipping cream. YUM!! I like Mixed Berry Pound Cake, yummy!